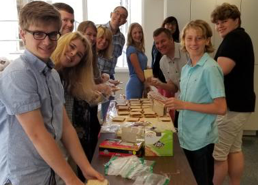 Union Station Homeless Services – On the first Sunday of every other month, we prepare and deliver sack lunches to this local shelter. In 2018 we will pack lunches in February, April, June, August, October, and December. Immigration Ministry Team – This new ministry team seeks to build community with our undocumented sisters and brothers in the greater Pasadena area. Through these relationships, we aim to listen, learn, grow, and collaborate in actions that show God’s love to those who are on the margins and considered strangers. We partner with the Matthew 25 network and Iglesia del Pacto church in Eagle Rock. 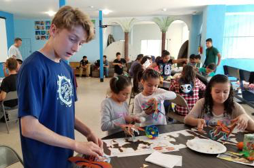 Neighborhood Urban Family Center – This ministry provides educational and enrichment programs for at-risk children, youth and families in Pasadena. Elizabeth House – This ministry provides shelter, resources, and training to homeless pregnant woman in the San Gabriel Valley. 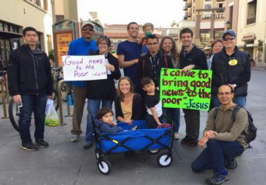 Palm Sunday Peace Parade – Knox both supports and participates in the Palm Sunday Peace Parade with other churches in Pasadena, seeking and working for peace and justice. 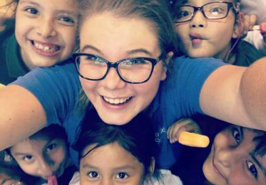 Tijuana Mexico – We take several trips each year to visit an Orphanage, prepare a meal and program for the children, and do a variety of small support tasks on the property. To view an article covering one of our trips in 2012, click here. 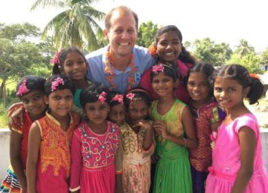 Covenant Children’s Homes – Covenant Children’s Homes is a program of India Christian Ministries, an indigenous organization aimed at bringing the hope of the Gospel to the Indian state of Andhra Pradesh. The Covenant Children’s Homes reaches out to children whose parents have passed away or are unable to care for them. These children are placed into homes of five or ten children under the care of a pastor and his wife. 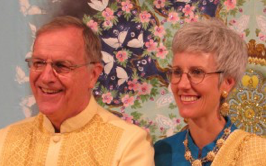 Esther Wakeman – a Presbyterian mission co-worker who serves at Payap University in Chang Mai Thailand. The Syrian overture to have the Presbyterian General Assembly in June to respond to the Syrian crisis, to work to stop the killing and work for reconciliation. Puerto Rico and the disaster relief from the Hurricane Maria in September. Dressember’s effort to stop human trafficking. Patience Ahmed’s (a Fuller PhD student) trauma ministry in Nigeria for those connected to girls kidnapped by Boko Haram. Ricardo Moreno (former Presbyterian pastor in Pasadena) who is held in Venezuela. Nada Jones’ KickStarter campaign for her organization to encourage women starting businesses. 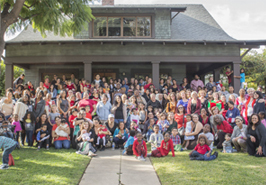 Jill Shook’s Affordable Housing Institute to educate and organize how to create Affordable Housing in Pasadena. Joseph and Hannah Kang’s effort to start the University of Blantyre Synod in Malawi, Africa. Hope IT’s aim to allow underserved kids to gain access to computer technology and IT professionals to have fun, gain skills and confidence, that may lead to IT jobs.